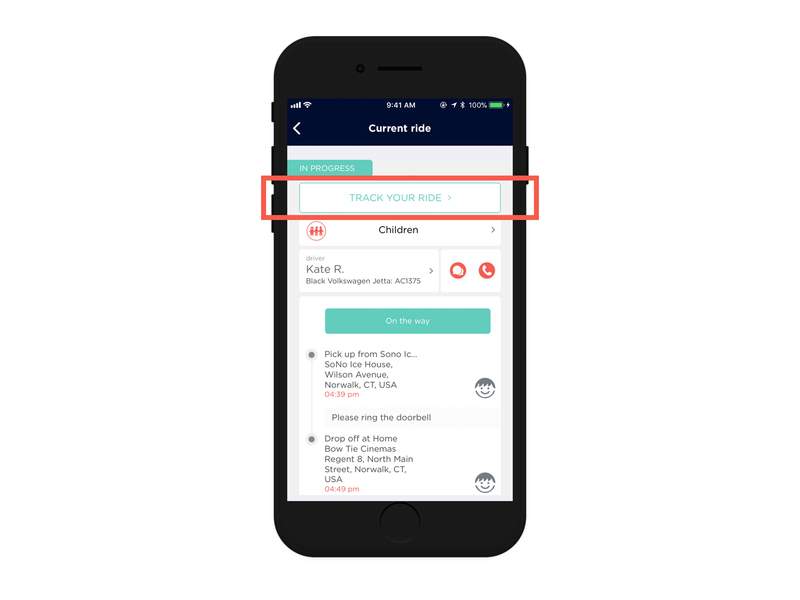 How do I track my child's ride? You can track rides directly from the VanGo mobile app. If you're outside of the app and have push notifications enabled, you'll receive a notification at every step listed below. Here's how to enable push notifications. If you're already inside the VanGo app, you can click on the ride directly (click on the Schedule tab, today's date, and click on your ride) to see the ride details. Your driver is on her way! ✅ This means your driver has left her current location (e.g. home or work) and is on her way to the pick-up location. Your pre-teen / teen will receive a text about this as well. Your driver has arrived! ✅ Your driver has arrived, and she is now waiting in the pick-up location. From that moment on, you can track your ride through the VanGo app (more details on that below). Your pre-teen / teen will receive a text about this as well. Your driver has completed the pick up. ✅ Your driver has picked up your pre-teen / teen, and they are now on their way to the drop-off destination. Step 1: To track your ride, go into the "Schedule" tab on the VanGo parent app, click onto a specific date, and tap on the ride you want to track. Step 2: As soon as the ride begins (when your driver has arrived at the pick-up location), you'll see a big "Track Your Ride" button right on the top of the screen. Click that button to see your ride in progress! Note: Once the ride is over, the "Track Your Ride" button will disappear and the ride will stop tracking. And that's it! Any questions about tracking a ride? Shoot us a note at team@ridevango.com and we'll be happy to help out.